According to a letter obtained by CNN, the Justice Department is looking into the use of fetal tissue, a decision likely fueled by Republican Senator Chuck Grassley and his ongoing campaign against Planned Parenthood. On December 7, the DOJ sent a procedural letter to the Senate Judiciary Committee, requesting “unredacted copies” of records relating to the 2016 report, “Human Fetal Tissue Research: Context and Controversy.” The letter does not mention Planned Parenthood by name, but the report—produced by the staff of Grassley—was commissioned to investigate the now-debunked claims made by the Center for Medical Progress (CMP). In 2015, CMP released a series of sting videos claiming that Planned Parenthood illegally sold fetal tissue. The allegations made by CMP have been investigated by numerous legislative bodies including, Rewire reports, three congressional panels and 13 states, each of which found CMP’s claims baseless. CMP founder David Daleiden is currently under indictment in California. Still, Grassley has been persistent in his request for a federal investigation of Planned Parenthood. The Grassley-produced report found little but claimed that the executive branch hadn’t exercised enough oversight on the sale of fetal tissue. He demanded that the DOJ launch an investigation, which they declined. In 2016, Grassley handed the report over to the FBI, again demanding an investigation. He reiterated those demands when Jeff Sessions was nominated to head the DOJ. The letter is essentially a procedural document. The redacted records could only be shared with the DOJ if the Department requested them. CNN reports that Grassley had mentioned that procedural hurdle in conversations and requested that the DOJ send the letter. It remains unclear whether or not the DOJ plans to launch a full investigation or whether or not this is simply a political attempt to garner headlines like the one published at Fox News today. “Planned Parenthood Under Investigation by Justice Department Over Sale of Fetal Tissue,” the Fox headline reads, even though Planned Parenthood is not under investigation and there is no formal investigation. Still, the headlines seemed to invigorate the CMP, who released a strongly worded statement. 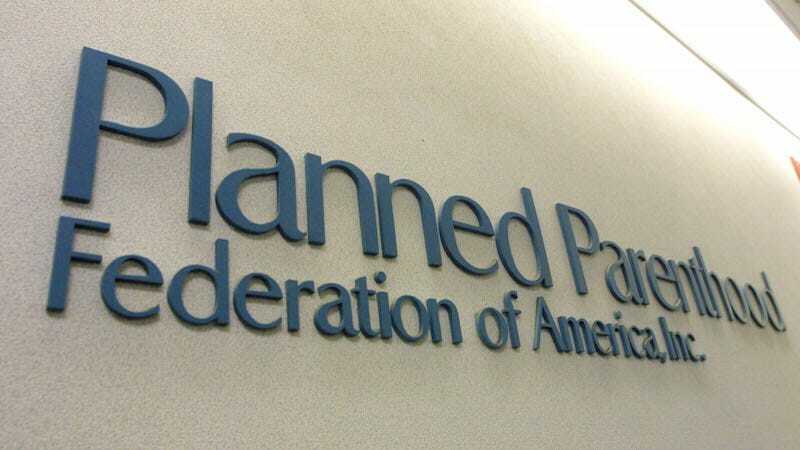 “It is time for public officials to finally hold Planned Parenthood and their criminal abortion enterprise accountable under the law,” the group said, reiterating their already debunked allegations about the sale of fetal tissue.